American Ale debuted in September 2008. The beer claims to offer complex taste without much bitterness. 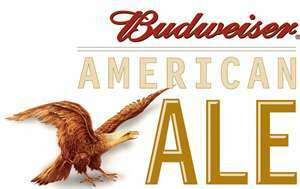 Budweiser American Ale has a distinctive hoppier flavor than other Anheuser-Busch beers, in an attempt to capture some of the American craft beer market, although most American craft beers are hoppier still. Budweiser American Ale is the first beer under the Budweiser name that is brewed as an ale (brewed with top-fermenting yeast) rather than a lager. The beer's darker color is a departure from the other Budweiser brands.